My favourite movie is Zulu. 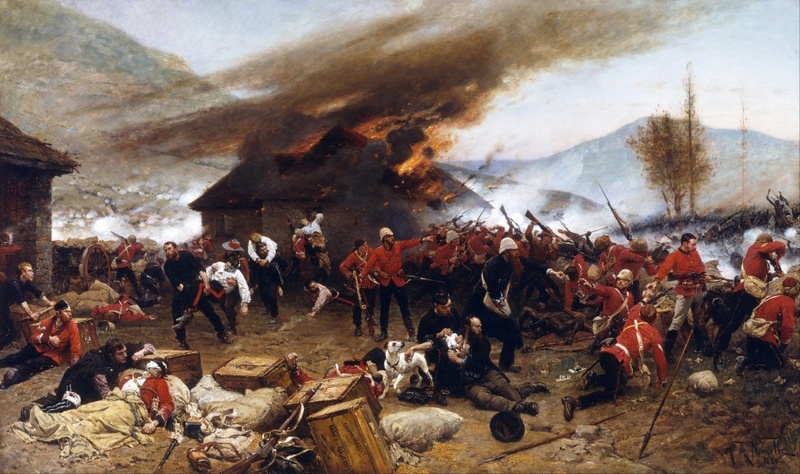 It tells the courageous tale of how 140 soldiers held off and ultimately defeated a 4,000 strong Zulu army at the Defence of Rorke's Drift in 1879. For those who missed Comms Con 2014, there weren't any Zulus but I got the distinct impression from some of the speakers that the Australian PR industry is holed up in that mission station and preparing for the sequel. The challenges facing us are well known: PR's decreasing share of the marketing budget, the audience fragmentation that has completely disrupted the traditional media's business model, the rise of social media and its influence, not to mention clients who want more for less and want it faster than ever before. To end my military analogy, these are not Noah-scale events, they are simply changes in the market. The real danger PR agencies face is to either resist or deny that these changes will affect their business. Getting back to Comms Con, the new agency structure session could have benefited from a few MDs of integrated communication groups. PPR and Edelman both outlined new organisation structures that looked very much like an advertising agency (planners, creatives, suits and production). Which says to me that the problem they are trying to solve is how to compete with advertising agencies for their larger budgets (please correct me if I'm wrong). The challenges they will face (from someone who sat in the Clemenger Group for four years) is that you need a lot of revenue to sustain that structure. Advertising agencies survive because they employ a lot of contractors who come and go depending on the work. There is a lot more conflict (especially between the suits and creatives or client needs vs. award winning ideas). Team cohesion ebbs and flows. The career motivation for PRs is very different to creatives which is different again for digital and production people. And most notably, for it to all come together successfully, it requires PR MDs to have had experience in managing such a diverse culture and employee base. Lots of challenges there that reminded me of Andy Lark's comment later in the day, clients don't give a damn about what structure you have, they just want you to solve their business problem. His point, structure isn't a differentiator. Capability is what it's all about. Before I comment on that, I'd like to offer my interpretation of the real reason for talk of restructuring agencies. Quite simply, the changes in traditional media are now starting to bite in the PR world. The media relations revenue that in some cases made up to 80% of the bottom line for PR agencies is evaporating as clients now see it as a commodity. Client CEOs who were continually frustrated by media stories with inaccuracies or painful truths (or both) about their brand, can now get space for their stories in the new media world - either paid or via their own platforms. Which means PRs need to find a replacement for that revenue, and fast. Several were presented at Comms Con. One option was as content curators. As Joe Jareck from the LA Dodgers said, it's their news and they'll decide how to tell audiences (and they do that via their own publishing site Dodgers.com). It was echoed by Matt Gain in his presentation where Edelman run a similar site for GE. To return to Mr Lark's observation, rather than trying to poach ad budgets and being led into the trap of losing our point of difference to other marketing disciplines, why not reposition the value and capability of communication services for the client. As with any repositioning, we need a replacement for the term 'PR'. It has unfortunately become a moniker of ridicule (thank you Ab Fab, Spin City, Wag the Dog and The Thick of it) and purely associated with media relations. Perhaps just using 'communication agency' returns us to a more authentic space? Andy listed numerous strengths of communication professionals. We understand the audience better, the relationships between stakeholders, their sensitivities, and the full impact of decisions on communities. We understand conversations and the subtle art of persuasion without hard selling. We understand reputations and their fragility. I could go on but I need to wrap this up with one final point and a call to action. Fellow communication professionals, we aren't surrounded and hopelessly outnumbered. We are just facing a momentary crisis of confidence. But we need to take ownership of the issue. Tim Burrowes is right, as an industry we have done a terrible job of selling the value of what we do. Terms like spin, spin doctor and publicist have become slogans that mock the true value of communications advice. And it's our own fault. We haven't pushed back on those who use them. "I save lives through effective communication. I save jobs by managing corporate reputations. I hire celebrities to sell products. I raise awareness for worthwhile causes. I preserve workers' dignity by preparing the best words for management to use. I organise events that launch bold new ideas. I am the first person the CEO contacts when there's a crisis. I help people dealing with change by keeping them informed every step of the way." I'm sure you can think of more. Be proud of being a communication professional. Have confidence that you do make a difference and others will follow.